ROHL hosted the second of four of its Auth Lux Summits in Palm Beach, Florida. 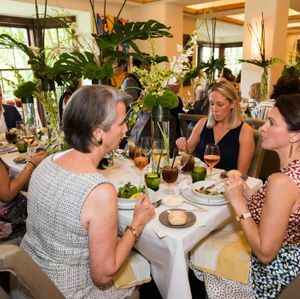 Held in June at the Brazilian Court Hotel, the event was co-hosted by Amy Vermillion, a Charlotte-based interior designer and a member of the 2018 ROHL Auth Lux Designer Guild. More than 75 design professionals from throughout Florida joined in the day-long conversation which included presentations and panel discussions on Original Design and Designing for Boutique Hospitality. In addition to Vermillion and ROHL, Vice President of Marketing, Greg Rohl, guest presenters included custom furniture designer Martin Goebel, Baltimore-based interior/hospitality designer Patrick Sutton, Leslie Delli-Venneri of Victoria + Albert, and Jonathan Zanger, president of Walker Zanger. The Auth Lux Summits next travel to Boston on September 27, 2018 and San Francisco, November 1, 2018. Click here for a complete list of dates, times, and locations to reserve your seat.